i like this one, could you send me the code? oohhhhh.... beautiful! can i get the code for this? i'd love to have this template. can you send me the code? You can use the Get Template link to download the code, since I don't have your email address i'm unable to send you the code. I really like this one. I have downloaded the code, and it's work great! I do have one question, though. Is there any way I can add my description under the title? Can you please tell me how to replace the image in the header? I like this template, but it would be even better if it filled the screen, rather than leaving a wide empty gap on the right! Also, is it possible to change the colour of the text of the blog title and description, so that they show up more clearly against the background of the image? mr. aman, nice one. using it - mainlymyself.blogspot.com, however - right column, can change bg color ah? truly gorgeous! can i get the code please? I am going to use your template as well, with some minor changes, for now. Thank you for having allowed us to use it. may I please have the code for this layout? thanks! This template is too good...it kinda reflects what i truly feel about me...at least at this moment. I have set this as my blog template..but i donno how to fit the sidebar and the main posts body to be visible within the window. the sidebar goes down to the end of the web page...also the header photo needs to be stretched as some part appears grey in my blog. Please Help! i love this template could you send me the code?!? @ Twexinha: Just press Get Template, download, and unzip. Paste the code in your template and hit republish. i really like this template, but the Get Template link doesn't work. I love it! Can I get the template? 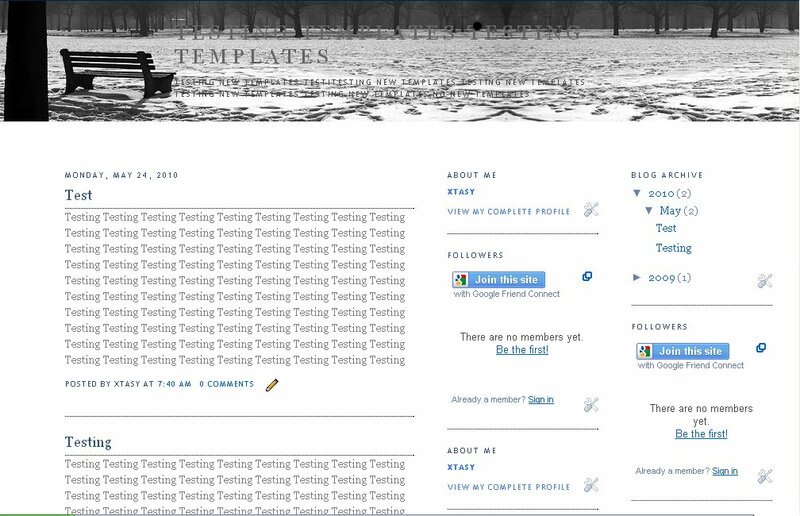 I've used your template for my blog. Thanks! I am with many problems with the blog... Can you come to msn tomorrow please? Hey, Could you please send me the code for this blog template? I would love it! heyy, can you send me the code for this template? wonderful. simple and beatiful - perfect combination. Hi, I'm using this one. Thanks, I love it. This is truly lovely. Simple, but effective. I will need your email address if you would like me to send you the code, or if the Get Template link is not working now you could come back and try again later. I really like the simplicity of this one. Do you mind if I use your code as a starting point? I'd like to personalize it a bit more (use my own photo, for instance). Sure, you can do whatever you like with the template. hi, i love this template of your's but i have a problem. You see, i'm made everything you did to download and upload the picture at photobucket. 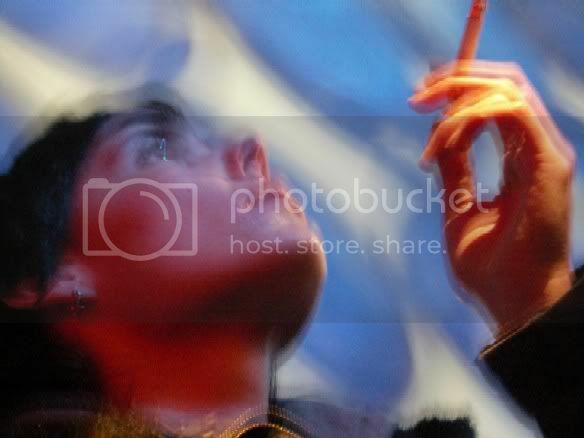 But in my blog it always appears with logos of photobucket. I have tried everything but it always stays like this. Please help me. and sorry for the troble. thank you for this template it is almost exactly what I was looking for with the exception of one thing, the background. Could you pleeease help me change it? 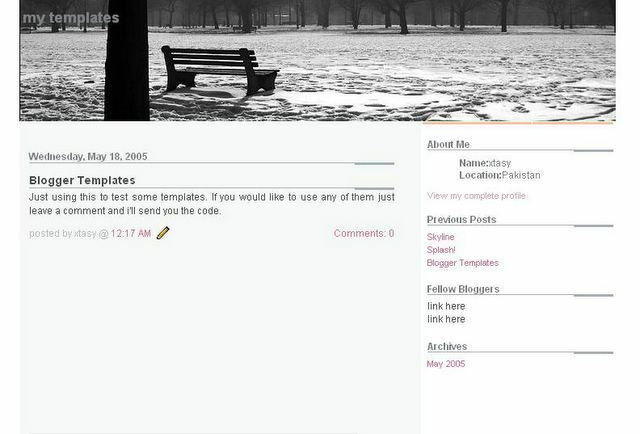 I have this template and like it, but where do I change the html so that my blog description is visable in the header. Hi! I really love this template and would like to use it. I've been trying to get the code but I don't think the link is working. Could you please fix the link or email me the code? Thanks! very nice template. Would you be so kind as to send me the code? "Get Template" not working, but I'd love to have the template! :) It's gorgeous. I can't use Get Template either, but I'd love to try this template out. TrewqazX@aol.com. Thanks! I love this template. Could you please send me the code? Get Template doesn't work. My email add is r.aeishah@gmail.com. Thanks a lot. Hi can i have the blog template please? 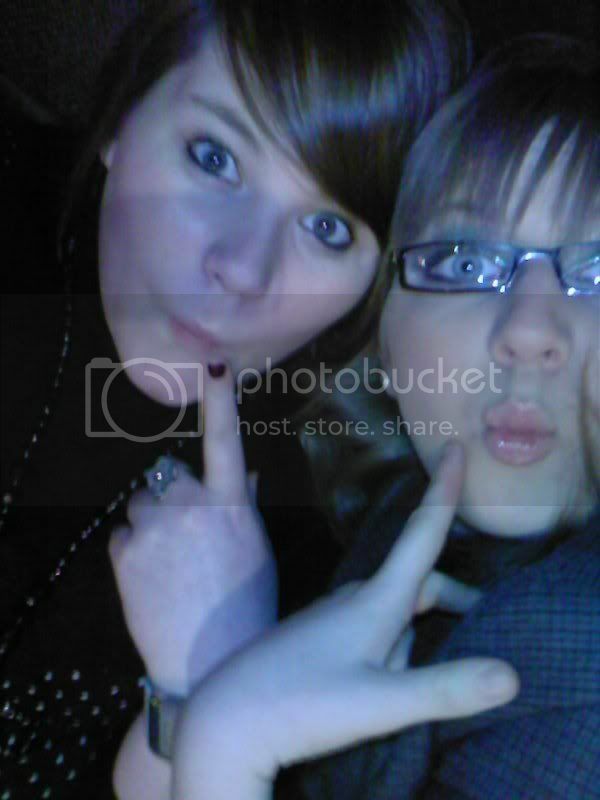 is there a need to go thru photobucket and all that? can i just paste whatever you've given me to blogger directly and it would be effective? Do you think you'd be able to make a Pure template -but with a spring/summer feel? Thankyou. I have used your template in my blog. It is really nice. Thanks once again. I would really like to get this code... africagirl81@yahoo.com... good work! Thanks! i followed your instructions but could not get the photo from photobucket to work. is there another way i can get my picture in there. This is the picture i would like to use http://photos1.blogger.com/blogger/3538/1436/1600/Sydney%20New%20Year.1.jpg. My email is boo778@aol.com. Thank you! Hi Aman, just downloaded that code and all that, thanks and i really like it. Anyway, question... the page tends to load with the whole template align to the left. how do i centralize that? u can visit my blog to see wat i mean.. err maybe u can leave a comment there tellin wat to change or email me at eline.lim@gmail thks! I love this template. I've used it for my blog. Hey this site is great! Thanks a lot. 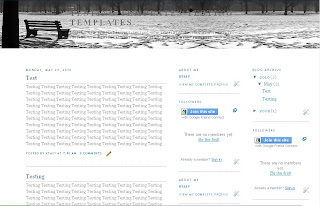 Have just changed my blog http://nowyourenothere.blogspot.com/ to this template and it has changed the whole feel of it. It was relatively simple to do too, considering I've only been blogging for 3 months now. Is it possible to get rid of the huge blank column from the right hand side though, as it looks a bit of centre? Be great if I could centralise the whole blog. Hi I am using this great template! Can I get the code please. d the mighty, I believe the code is on the template. i would love the code for this! the template link won't work for me. hi..hehe..im new to this kind of thing, so i decided to find a template that wil be suitable for me, and i have decided tat this is the template for me, no more hopping around..anyways, can u pls help me look into the sidebar? as usual, my sidebar is all the way down there, my site, choulyin.blogspot.com. thanks alot!!! This template is awesome! Can you send me the code? I can't seem to get it. Can I get the code for this please. i would love the code. it's perfect. thanks! could you send me the code? email address - elucidate_i@yahoo.co.in. thanks. how do i upload a zip file on to photobucket? hi, id love this template, can you send me the code? I love this too! Can I get the code? I loved this template and used it too. I was wondering if there is a way to center it or get it to span the entire width of the browser window ? Can I? and can you send me the code? I'm from Portugal and I'm using you're template for one year now.But I'm having a few problems with it, can you check it out and tell me what to do? I love this template!It is beautiful!Do you know how I could edit the text color of the description of the blog that would be placed over the main picture of the bench?I'm useless with html!Thanks! Hi! I love this template, and I'm following every steps but somehow the picture doesn't appear in the header! Could you help me? i like this one very much.... could you send me the code? hye,i'm following the step and it's cute to be my blog page but then how to insert the "fellow bloggers" and hot to make it as screen size coz now it's not fit the screen size it becomes smaller then screen size..plz help me..do email me at secretstoryteller@hotmail.co.uk. any chance of the code for this? It's wicked! Nice template. I would appreciate if you could send me the code. I love the look of this template. However, when I insert this code in my edit HTML window, I get the entire template minus the nice picture in the Blog Title area. I'm new with templates, can you please help me with this. how come i can't use it in my blog. It always say that there's an XML error. This is the error message - Your template could not be parsed as it is not well-formed. Please make sure all XML elements are closed properly. Hi, i'd like to use this template! it's really wonderfull. Can you send me the code plsss? Can you please send me this code? I love this layout!!! Please send me the code to your blog template, I would love to install it on my blog site. Love this template...may I have the code? hey im not able to download your template...could you send it to me? I really like this, is there anyway I could get the code? can i have the code as well? can I place the picture other than on photo bucket such on my own host? one more will I still have my widget if I change my template? Hi, i had an error msg. (Your template could not be parsed as it is not well-formed. Please make sure all XML elements are closed properly. XML error message: The content of elements must consist of well-formed character data or markup. )I'm new to this. Could i have the code pls? love this template. Love your template. Will you please e-mail me the code? Can I get the code for it? Could you please send me the code? I really love this template! can you send the template to me pls. :) Thanks! It doesn't work... It appears: Your template could not be parsed as it is not well-formed. Please make sure all XML elements are closed properly. XML error message: The content of elements must consist of well-formed character data or markup. what can i do? can you send me the code? I love this template. Could you send me the code? Liked this a lot.... but how do I put it up on my blog? Plz do contact me about the detalis. I love this one. Can you please send me the code. My email is bekahmparker@gmail.com. Thanks! Pure - i realy like it! Wow this looks really good. Can you please send me html please ! Love this. Could you send me html code please? And is there any way to add a quote or anything in the header?? can I please get the code? When I try pasting this code and republishing I get the following error messages: Your template could not be parsed as it is not well-formed. Please make sure all XML elements are closed properly. Hey i like this template. Can usend me the code? It just doesnt work what i have downloaded. Tahnk you. i like this alot. Can u send me the code? Can I get the code for this? XML 错误信息：The content of elements must consist of well-formed character data or markup. hey its nice...can i get the code. i like this one can i get the code? can i have the code for this one? can i even get a copy? hi, I wanna use your template. I would like to use this template. can i get your code? I downloaded this & uploaded in my blog, but the pic is not visible and it says "your image was linked incorrectly, please visit your account for the correct link". Pls tell me what should I do. This on was nice... Could you send it to me please?? Could you send me the code, this is one of very few that I really like. Great job! love this one... code please? Love this - could I please have the code? Thanks!! could you send me the code ? woooow, love this one... beautiful! i like this one, could you send me the code pls...thanks!! great template. could you please send me the code? nice. :) could you please send me the code? thanks. how to do the header wif underline wif click on to the link. Can I have the code for this one? ?because i love it!! Thanks!! could you send me the code? is there any more interesting n fascinating templates? I really like that, can you send me the code please and thank you! Happy new year. Will you send me the code please? Thank you! Would you be able to send me the html code for this? i love this layout!! Love this! Can I get the code please? thanks! i really like this could you send me the code please. Hey, can I get the code too please? would you please send me the code? This looks amazing and I have no idea how to make the "Get Template" download working on my blog. Can you send me the code please?